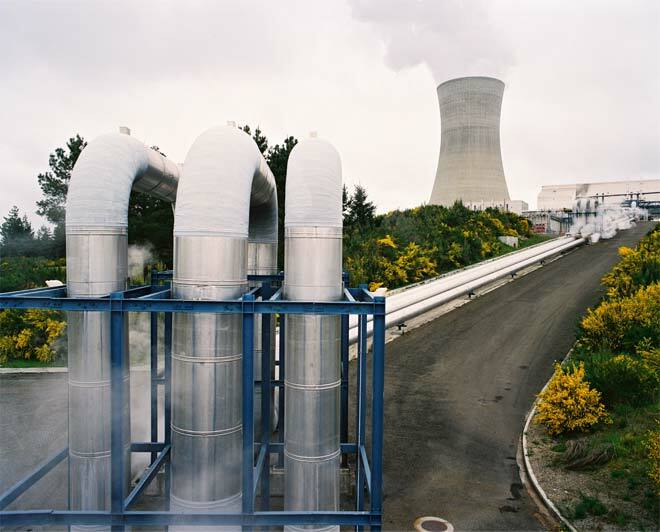 Officially opened on 31 October 1989, Ōhākī was New Zealand’s second geothermal power station, and the first to inject waste geothermal fluid back into the ground. It produces approximately 115 megawatts of electricity. The steam pipes are in the foreground, with a large cooling tower behind.